Argentina is unique and special country spreading on over 1 million square miles over the South America. In such a big country there are plenty different and interesting things that you can do like skiing, fishing, horse ridding etc. 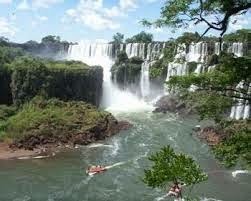 What ever you like to do, you can do it in Argentina. First you have to decide which part of Argentina would you like to visit (the mountains, the sea or maybe country side?) cause Argentina is really big country. Than decide what would you like to do, and after all that start thinking about prices, accommodation and transportation. The weather in Argentina varies from subtropical to winter cold; it depends in what part of the country you are. It’s hard to speak generally about the weather in Argentina because it’s different in different parts of the state. But I will try to inform you about the weather you can expect in different time of the year. The important thing to remember is that Argentina is placed in the Southern Hemisphere which means that the seasons are inversed (when the winter is in the US, in Argentina is summer). The weather there can be very tricky and rapidly changing, especially in the parts that are close to the Andes. The weather there is really unpredictable so you should be careful cause the rainfall and floods are often and extreme heat or even snow are not rare either. Mostly Argentina is really nice country with nice weather but there are parts that you may avoid. The south is very cold and winters can be brutal there so you should be careful. There is no need to go far south (unless you want to for some reason) because most of the hotels and attractions are closed. Of course, the seasons with most attractions are summer and winter. Especially nice is Patagonia. It is very mild during the year with many attractions, but it can also be very unpredictable and it can change drastically without notice. Few things you should try to remember is that the seasons are reversed which means that the summer lasts from December-March and the winter lasts from June-July. If you are looking for the most enjoyable weather that you should absolutely come in March, April, September, October and November. Unfortunately the crowd is hard to avoid, unless you want to go in the low season. Yes, the high season and in the time of holidays the crowd is unavoidable. So, if you don’t like crowds than don’t go during the summer, winter or holidays. Or if you must try to stay somewhere out of town. Like every other country Argentina too has parts of the year that are more or less crowded and more or less expensive. If you would like to save money than try to avoid high season (Dec-Feb and Jul-Aug). Also, try not coming in Argentina during the holiday cause prices goes up. If you want to enjoy in your vacation for a lower price than I recommend you to come during the low season (September, April and June). Don’t worry; weather is good during the low season too. Ok, you know the important things. Now just fix the rest, like your accommodation and transport and you’re done. I wish you a nice and safe trip to Argentina, and a pleasant time staying there.